The Darcy’s Hope Saga books were a very pleasant surprise for me when I read them a couple of years ago because I’m not usually fond of books that are not placed in regency, but these were so captivating that they earned a place amongst my favourite books both in 2016 (volume 1) and 2017 (volume 2). Because I loved these books so much and they were recently released as one single volume, I thought it would be a good idea to invite the author, Ginger Monette, to talk a little about the Saga so that those who have not yet read these books may have a chance to get acquainted with these characters and their background. 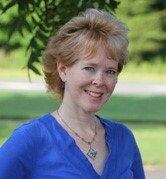 Welcome to From Pemberley to Milton Ginger! 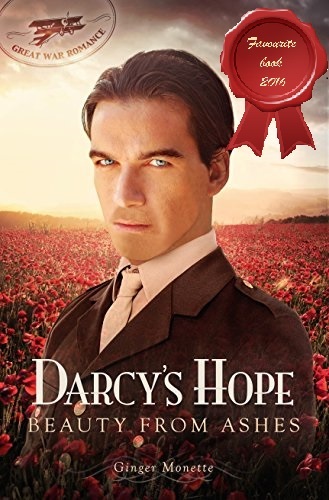 First of all, can you please let us know what exactly is the Darcy’s Hope Saga? Absolutely. First, I allowed the characters to be molded by the culture and the war itself—just like the real people I read about. I cast Elizabeth Bennet as nurse-assistant, which was a common role for high bred women during the war years. Similarly, I made rich young landowner Fitzwilliam Darcy a captain in the army. Though the saga is first and foremost a romance, much of the richness of the story comes from the hero and heroine both being deeply affected by their experiences during this turbulent time. I treated myself to both of these books last year, read them together and absolutely adored them!! 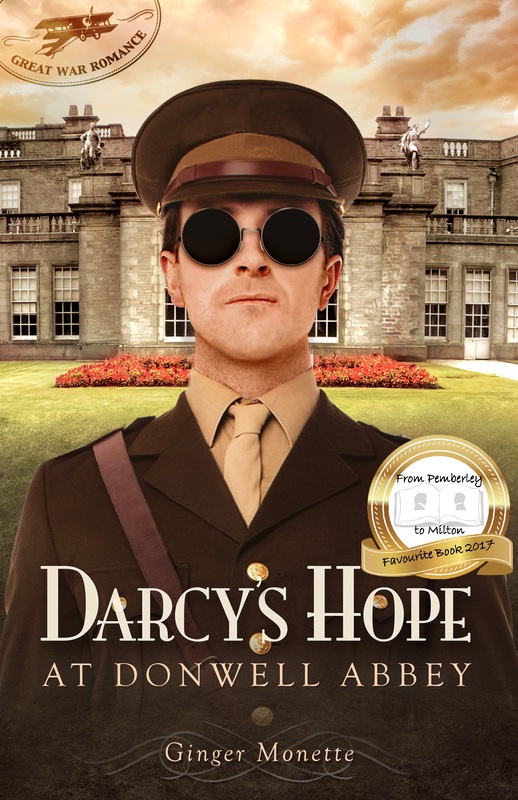 The angst,misunderstandings and miscommunications between ODC were so well done,the writing so descriptive and the HEA so beautifully portrayed that one cannot but recommend them to lovers of JAFF and historical fiction. I, too, read and enjoyed these two books. I am another of Ginger’s books on my Kindle waiting to be read. Thanks so much for hosting me today, Rita! 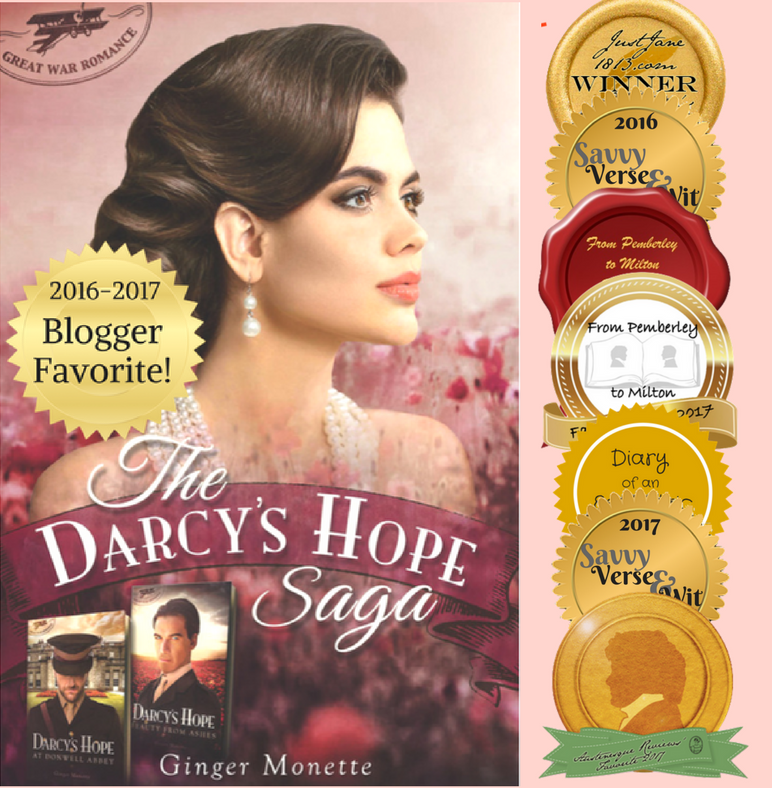 What a great honor to have you award BOTH the Darcy’s Hope Saga books among your favorites of 2016 and 2017! I’ll forever count the writing the two books among my biggest challenges in life, but oh so rewarding! Thanks, Denise! I read 6 hours a day for nine months–Learning about WWI has become a hobby! If I’d had “Best of” lists for 2016 and 2017, these two would have definitely been on them. One of the aspects I like about them is the drawing in of characters from other Austen novels and, of course, North and South. I really hope that Ms. Monette goes on to write some more Great War tales.